End-of-the-school-year crafts are a fun way to bring closure before summer vacation. The end of the school year can be an exciting time for children who feel they have accomplished a whole year of school and are gearing up for summer vacation. Educators and parents want to bring positive closure to the school year and create good memories so children will be excited to return next fall. End-of-the-school-year craft projects are a simple and fun idea for children. Young children could work with their parents on a goodbye craft for their teachers. Preschool children are new to a school routine, and after a school year children want to say goodbye to teachers and friends. Young children can paint a river rock with tempera paints for their teachers or create drawings to say goodbye. In the classroom, preschoolers and kindergartners can work on a group painting about all the wonderful things they learned during the year. An end-of-year craft for elementary pupils could be decorating a cake for a last-day party. The class can vote on a theme and choose what to put on it. Older elementary-age children can paint pictures of what they want to be when they grow up and come to class dressed for their chosen professions. Another good project is to set up an end-of-the-year arts and crafts exhibition with art and crafts from all the pupils. Parents and community leaders can be invited to the opening. Middle school students are still young enough to learn from tactile craft projects. 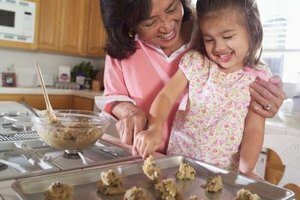 A cooking craft of decorated cookies for special teachers and friends could be worked on from home, and a friendship bracelet craft could be done in the classroom. Teachers should be sure that students include everyone in this craft. Students can also construct a class loom at the beginning of the year and add fabric, natural fibers or anything important into the weaving throughout the school year. At the end of the year, a celebration could be held to view the final weaving. Teenagers, too, need to have closure at the end of a school year, and a craft project is a good way for students to reflect and display their creativity. A friendship T-shirt is a fun end-of-the-year project. 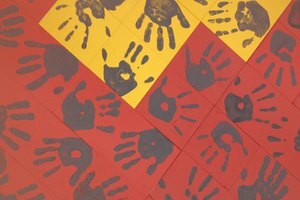 Children can bring a T-shirt from home, and their classmates can sign or dip their hands in acrylic paint to leave their hand prints on the T-shirts. Students who are going on to college can create remembrance kits by placing items that reflect who they are into a small box. Students can add a poem and decorate the boxes for friends or relatives. Chow, Charong. "Fun End-of-the-School-Year Crafts for Kids." 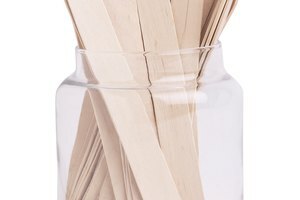 Synonym, https://classroom.synonym.com/fun-endoftheschoolyear-crafts-kids-7901983.html. Accessed 18 April 2019.